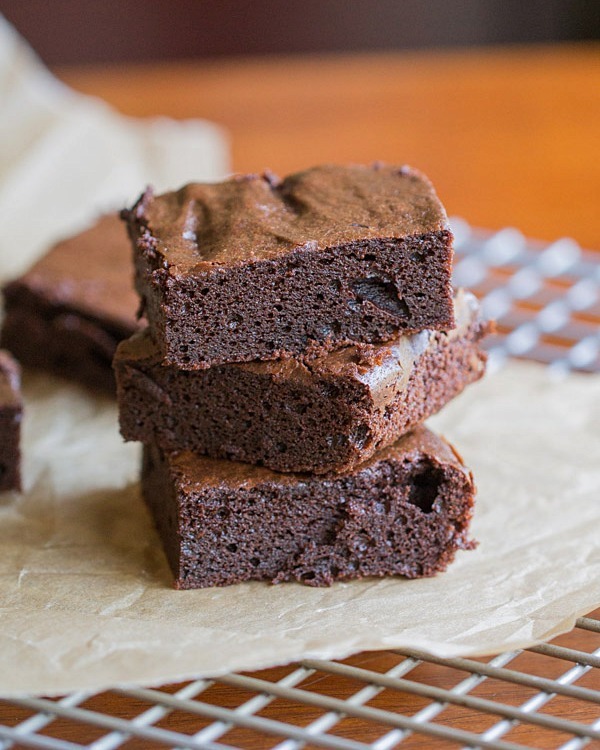 Flourless Fudgy Brownies. 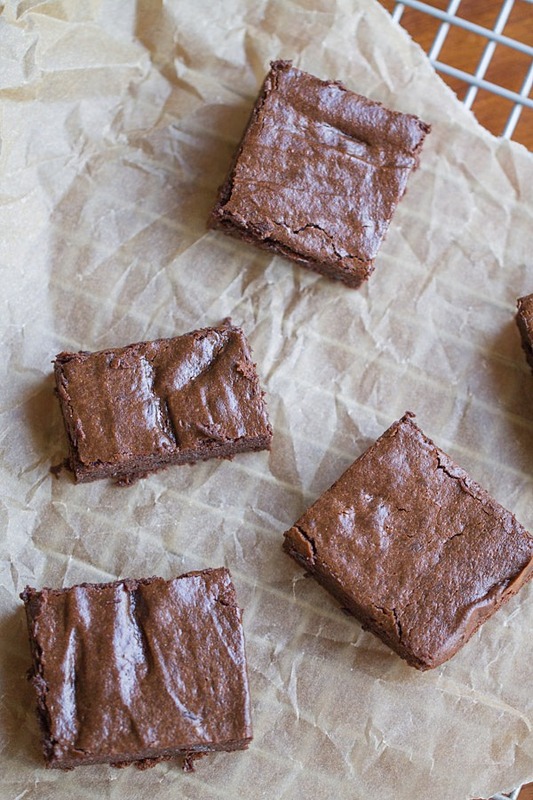 These gluten free fudgy brownies are made with almond butter, cocoa powder and agave nectar. Fudgetastic. Is that a word? Not according to the English language. But that’s okay. Cause we’re talking food and brownies right now. And brownies this good deserve cutesy made-up words to describe them. In my quest to reduce sugar consumption, or simply put – cookie eating, I went on a mission to find a good cake or brownie recipe that was free of flour and granulated sugars. I went with brownies because well, simply put, I am quite fond of them, more-so than cake. In fact, brownies and cookies are in a fierce competition to win my heart over with both equally coming out on top. 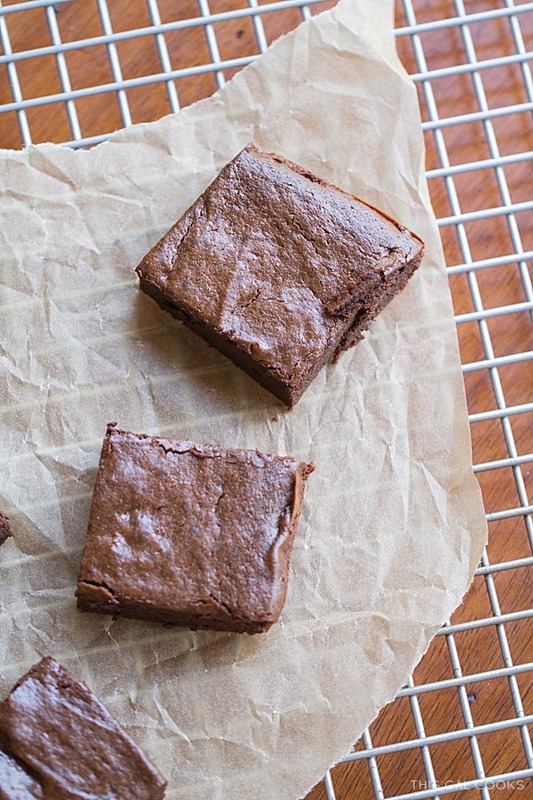 I settled on this Easy Paleo Brownie Recipe that I found on Cook Eat Paleo. I basically followed the recipe exactly as notated but I subbed out a couple of ingredients. Since I wanted to go dairy free, I replaced the ghee with coconut oil. Since I wanted live on the edge and try Agave nectar, I subbed the honey with agave nectar. You could also sub the honey with maple syrup. Or just use the honey. The choice is yours. These gluten free fudgy brownies are made with almond butter, cocoa powder and agave nectar. Add all of the ingredients to a blender or large food processor and process until combined. I used my little cheapo blender and it worked just fine. Spoon the mixture into the baking dish and smooth out with rubber spatula. Bake for 20-25 minutes or until the center is set. A toothpick should come out clean. Cut into squares. I cut mine into 12 squares. Or rectangles. Some were squares, some were rectangles. I think I am going to make these flourless fudgy brownies again, subbing the almond butter with peanut butter. I puffy heart peanut butter so I know these brownies will be da bomb when made with peanut butter. Not that they weren’t da bomb when made with almond butter. But you’re talking to the gal who stashes a jar of peanut butter in her desk at work so she has it on hand for those must have peanut butter moments. I have been trying a few brownies recipes over the last few weeks and none of them worked for me, I am going to need to try this one for sure! Yeah! You should, Nancy! I’m thinking about making a different variation of these today. 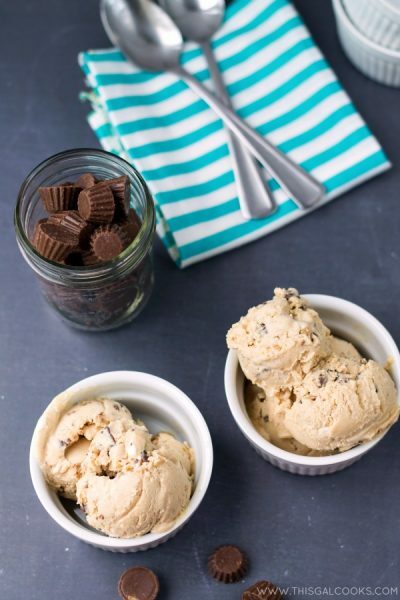 Something with peanut butter and chocolate chunks. YUM! These look yummy! I like the combination of the almond butter and coconut oil, along with the nectar. I have to watch the sugar. I’m fighting the urge not to lick my screen. I like the texture of flour less cakes and brownies. I want one! OMG! These are fudgetastic! I seriously can’t wait to make these. Love the addition of almond butter and coconut oil! I definitely need to try this recipe. I tried a paleo brownie recipe a few months ago and wasn’t a big fan. I love how moist and level these look. Can’t wait to try them! You’re gonna love them, Ashley! Next experiment – Flourless peanut butter brownies. I cannot wait to take a bite of one of those! Your were on a noble mission—-reduction of cookie eating aka less granulated sugar. If there’s anything better than brownies, it’s healthy browines that still look super delish an fudgetastic. Oh wow, can I have like 34 of these??? Of course you can, Consuelo. ;) Hope you are having a good week! These brownies look great! Unbelievable that they are flourless! Thank you, Medeja! I was surprised at how well they turned out. I had never made flourless brownies before but I am glad I tried them! Yummy! My daughter is gluten free. She is coming to visit next week. Can’t wait to make this for her. Oh wow. I need to make these! I’m on the hunt for a better for my husband brownie and I think this might be perfect! Pinned! I am always on the look out for fudgy healthy brownies and I think I’ve found the perfect one! These look incredible – I love the almond butter and coconut oil in here and the fact that they’re flourless – seriously can’t wait to try these. Pinned. I just made some again over the weekend. This time I used all natural peanut butter and added some bittersweet chocolate chips to the mix. SO GOOD! Julie these seriously sound awesome, and I am a sucker for a fudgy brownie. Pinned this and trying asap! Hi Mallika! Wowza! That’s awesome that you made walnut butter. It sounds wonderful! How did the brownies made with it turn out? Do share because I’m curious! Question… I see in comments people used almond flour? I don’t see that in the ingredient list. I was curious how it was cakey without any type of flour. Am I blind and just not seeing it listed?